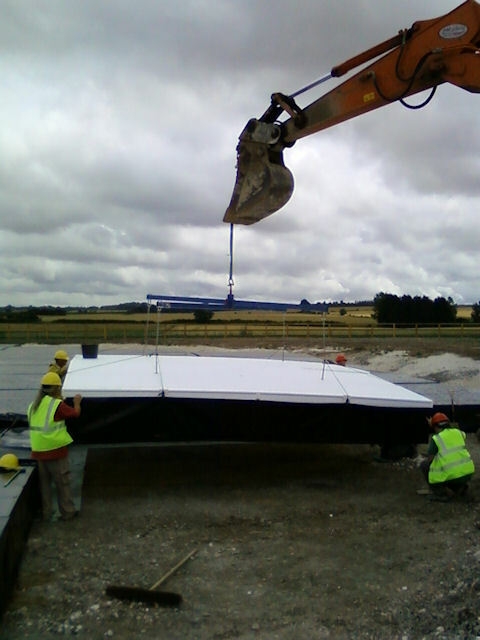 On Thursday the 14th July, the final HBA tile was prepared and lifted into place. 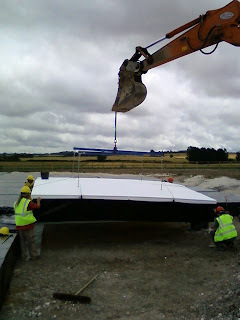 Caption 1 : Held aloft by the 18-tonne digger, the crew carefully move the final tile across from the unfolding station to its place in the corner of the HBA field. Caption 2 : Preparing for landing. 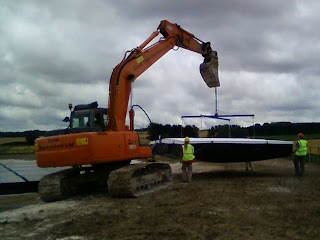 Here the crew guide the tile into place as it was lowered down. This was actually more difficult than it may at first appear, as there was a stiff breeze making the handling of the tile difficult.